A little more than two months ago, veterinarians in the Chicago area noticed a sharp increase in the number of dogs coming into their clinics with respiratory illness. 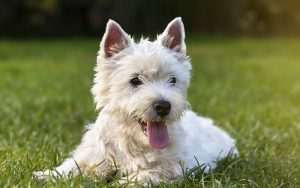 The disease was first thought to be Canine Influenza Virus, H3N8, which is a respiratory pathogen of dogs that was first isolated in Florida in 2004. Subsequent testing, however, carried out with the assistance of the New York State Animal Diagnostic Laboratory at Cornell and the Wisconsin Veterinary Diagnostic Laboratory, identified the outbreak as being caused by a virus closely related to Asian strains of Influenza A H3N2 viruses, currently in wide circulation in Chinese and South Korean dog populations since at least 2006. On April 9, scientists at the National Veterinary Services Laboratories in Ames, Iowa, completed genome sequencing on the virus, and confirmed it to be Asian H3N2. All eight genome segments of the virus match closely (99 percent identity) with viruses isolated from dogs and cats from South Korea. This suggests that the virus likely came from this region. It’s the first reported incidence of H3N2 in the North America. In support of the veterinary community and accelerating the time to diagnosis, Merck Animal Health sponsored a diagnostic sampling program with Chicago area veterinary clinics. Nasal and pharyngeal swabs were taken from sick dogs to help identify the causative agent. Since testing began, more than 200 dogs (of those tested) have tested positive for Canine Influenza Virus using a broadly targeted Influenza-A matrix PCR test. CIV cases have been confirmed in Illinois, Wisconsin, Indiana, Michigan, Minnesota, California, New York, New Jersey, Ohio, Iowa, Georgia and Alabama. Thousands of cases have been reported and six dogs have died. None of the positive cases had been vaccinated prior for Canine Influenza.